This chapter considers broad issues related to videogame design and art educational policy issues. Discussed are Science, Technology Engineering, and Math (STEM) funding proposals, and recent moves to add the arts to this equation. Following this is a discussion of Quest to Learn, and their curricular structure, which incorporates complexity thinking, and relates to STEM, but deals more with game design as opposed to specifically being about videogames. The paper closes with recent statistics on videogame sales, and youth media use, making the argument that videogames are becoming part of a larger network of gaming experiences, and are not limited to one particular mode of delivery. During the 2011 U.S. State of the Union address, many Democrats and Republicans sat side by side as they paid respect to the recent Tucson, Arizona shooting victims, President Barack Obama highlighted the role that education might play in economic recovery. In this speech he referred to the ‘Sputnik moment’ that is upon the current generation of Americans, stating that “We need to out-innovate, out-educate, and out-build the rest of the world.” (SOTU 2011). STEM educational approaches are currently being explored in public educational systems around the world. In the United States, STEM is being promoted to ensure that American schoolchildren remain competitive in a global marketplace. Recently, the Obama administration has taken up STEM as a central component of not only educational reform but also economic reform. As President Obama stated in his 2011 State of the Union address: “Instead of funding the status quo, we only invest in reform, reform that raises student achievement, inspires students to excel in math and science, and turns around failing schools that steal the future of too many young Americans, from rural communities to the inner city” (SOTU, 2011). While the comments made by President Obama cited above certainly touch upon a number of important social issues, from gun violence to poverty to the funding of public education, the issue that I will address in this chapter is that of STEM. This contemporary educational movement finds itself in the nexus of these issues for reasons that I will discuss. Many have been critical of the emphasis on math and science in STEM educational approaches, seeing the potential for reification of high-stakes testing and the political components of the No Child Left Behind. Others see STEM as a blatant attempt to hand over public education to commercial interests, preparing members of a 21st century workforce instead of helping to raise well-rounded global citizens. Some art educators have criticized the absence of the fine arts from this conversation. Prominent advocates such as John Maeda, former president of The Rhode Island School of Art and Design, have suggested that the Arts should be added to STEM, creating STEAM. One of the goals behind the STEAM movement is to use the arts to highlight interdisciplinary connections that exist between the academic ‘silos’ of Science, Technology, Engineering, and Math1. 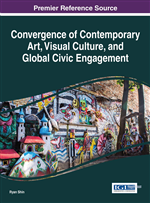 Proponents of this move have started to look to interdisciplinary forms of artistic production and design to explore potential educational opportunities for critical forms of social engagement and meaningful interdisciplinary interactions.